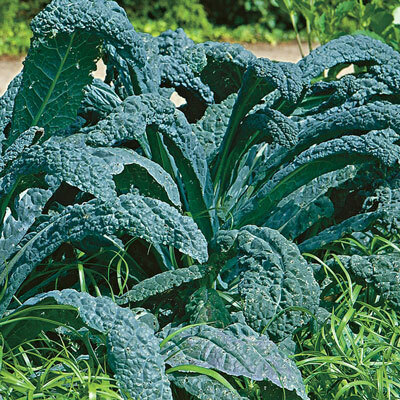 Lacinato Dinosaur Kale | Henry Field's Seed & Nursery Co.
Primitive-looking, long, thin, blue-green leaves (3" wide x 10" long). Considered by many to be the best-tasting kale. Extremely winter hardy, great for late summer sowing with late fall/winter harvest. 60–90 DAYS. Foliage: Primitive-looking, long, thin, blue-green leaves (3" wide x 10" long). Soil Requirements: Rich, well drained soil.